I’m thrilled to announce that I’m among the 100 artists selected to exhibit their works at the first Saatchi The Other Art Fair to be held at Majestic Downtown in Los Angeles from March 15th to 18th. This is a particularly significant step for me, given my emotional and cultural bond with the United States and inaugurates a year that will see me exhibit, thanks to Art 1307, LLC and with the curatorship of Cynthia Penna, two more times in Los Angeles in two big group shows; the first in September 2018 and the second in February 2019. So an entire year of great experience in Los Angeles art scene! from March 15th to 18th and I’ll be very grateful if you would like to forward this email to your art-loving acquaintances. This is valid until Wednesday, March 14. An Art Fair for a new generation of Art buyers. The Other Art Fair is the leading artist fair to discover and buy art direct from the very best emerging artistic talent. Founded in London, UK in 2011, the fairs are now strongly established in the US, UK, and Australia, with annual and biannual editions across the globe in London, Bristol, New York, Los Angeles, Sydney, and Melbourne – and plenty more to come! 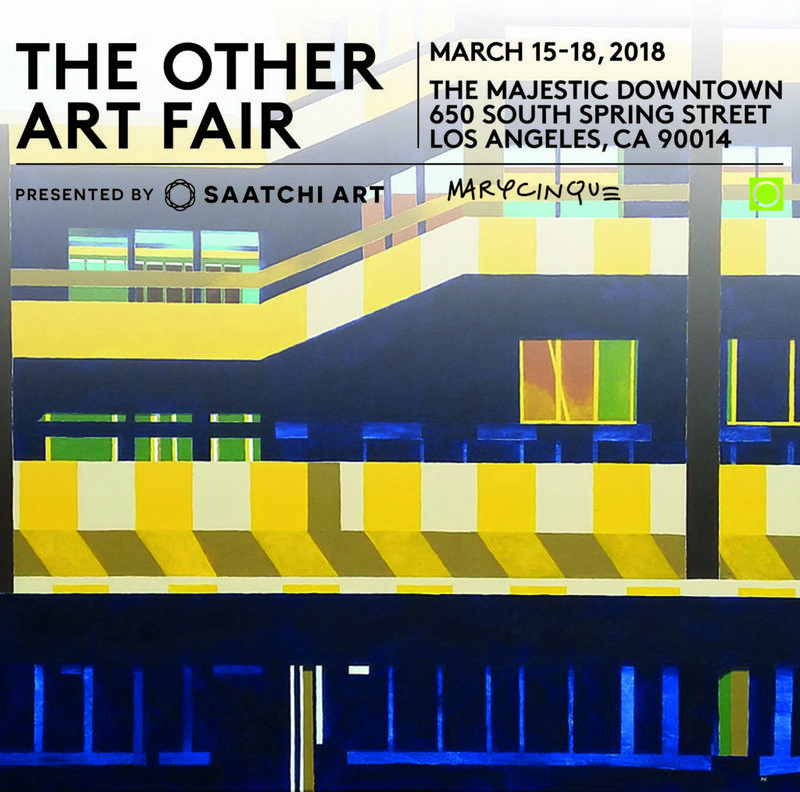 This March 15-18, 2018 The Other Art Fair is thrilled to make it’s debut in the heart of Los Angeles at The Majestic Downtown, presenting a hand picked selection of the next generation of art stars and thousands of original artwork encompassing all mediums. Celebrated for its unique and immersive visitor experience, The Other Art Fair’s inaugural Los Angeles edition will continue to delight and inspire art lovers with appearances from a distinguished Guest Artist, immersive art projects and theatre performances, live music, a mouth-watering restaurant and bar area, and much more. insta: @theotherartfair[:it]I’m thrilled to announce that I’m among the 100 artists selected to exhibit their works at the first Saatchi The Other Art Fair to be held at Majestic Downtown in Los Angeles from March 15th to 18th. This is a particularly significant step for me, given my emotional and cultural bond with the United States and inaugurates a year that will see me exhibit, thanks to Art 1307, LLC and with the curatorship of Cynthia Penna, two more times in Los Angeles in two big group shows; the first in September 2018 and the second in February 2019. So an entire year of great experience in Los Angeles art scene!